Each of the five competition events should be considered a training opportunity. These events are geared for simulation of real life scenarios and are intended to challenge the team as a unit. 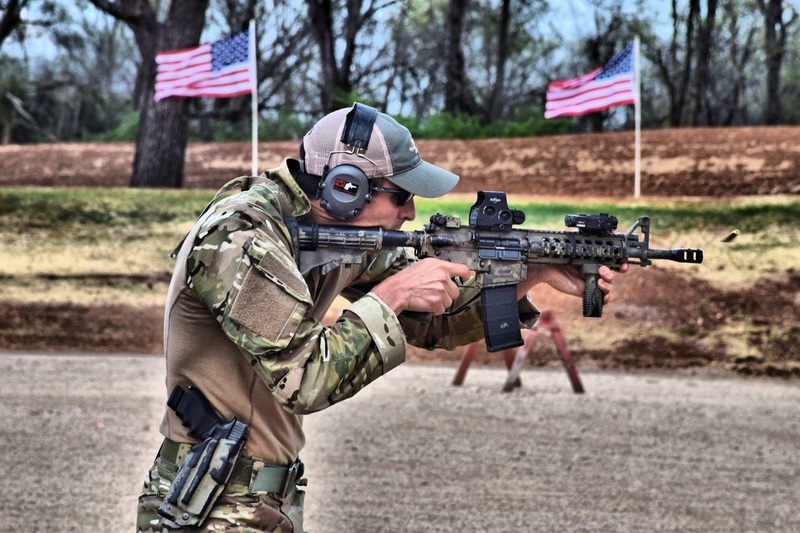 These five vents emphasize weapon expertise and physical fitness. 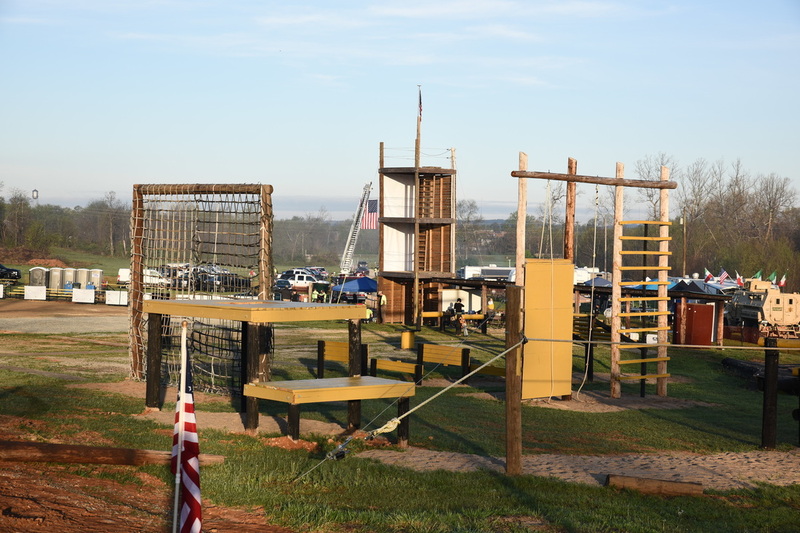 The 2016 Chris Parsons SWAT Event will be held at the Fredericktown Police Department Training Facility. For the 4th year in a row Reebok Duty is making our event an amazing experience for our competitors. Each competitor will receive the following upon arriving at registration on Wednesday April 19, 2017 at the range. Southeast Missouri SWAT Challenge kicks off in!!! Deputy Chief William Humphrey is a 35 year veteran with the Dallas Police Department. Chief Humphrey currently commands the Field Services Division which includes SWAT, Metro, Criminal Intelligence, Joint Terrorism Task Force, Fusion, Traffic, Love Field Airport, Mounted, K9, Helicopter, Explosive Ordinance, Gang Unit, Dive Team and Reserve Unit. Prior to Field Services Chief Humphrey has been a commander in the Investigations Bureau and Patrol Bureau. Chief Humphrey’s formal education includes a Master of Arts Degree in Counseling Psychology and a Bachelor’s Degree of Applied Arts and Sciences in Criminal Justice, both from Dallas Baptist University. Chief Humphrey is a graduate of the Institute for Law Enforcement Administration and the Law Enforcement Management Institute of Texas and holds a Master Peace Officer’s certification from the State of Texas. Away from the police department Chief Humphrey is active in Trinity Church of Cedar Hill Texas, where he served on the Church Elder Board and the Trinity Christian School Board for 6 years. Chief Humphrey is married to his wife Nancy of 28 years and has one son who is seeking a career in law enforcement. DALLAS SWAT WILL BE COMPETING IN THE EVENT AND HAVE ALREADY REGISTERED THEIR PAPERWORK FOR THE 2017 EVENT. WE ARE VERY EXCITED TO HAVE THEM WITH US THIS YEAR. On June 12, 2016, a 29-year-old male, killed 49 people and wounded 53 others in a terrorist attack inside Pulse, a nightclub in Orlando, Florida. He was shot and killed by Orlando Police Department (OPD) SWAT officers after a three-hour standoff. It was also the deadliest terrorist attack in the United States since the September 11 attacks in 2001. In a 9-1-1 call shortly after the shooting began, the suspect swore allegiancee to the leader of the Islamic State of Iraq and the Levantt (ISIL), Abu Bakr al-Baghdadi. The suspect was engaged by Orlando PD patrol units and surrounding agencies in a gun battle that turned into a hostage incident. The debrief will begin at 8:00am and will last until 12:00pm. 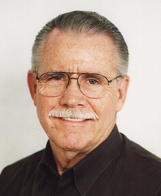 Ron McCarthy served as a Los Angeles PD police officer for over 24 years. He was assigned to the departments tactical unit, Metro Division, for 20 years and retired from Special Weapons and Tactics as the senior Supervisor and assistant commander in 1984, Ron will be teaching about the tactics to confront the anti-cop crowd. In today’s political climate, how law enforcement reacts to violent offenders and situations is only part of the solution. You must have the on-scene tactics connect to the after-action situation. Surviving the media, the U.S. Department of Justice - Civil Rights Section and your local critics is a necessity. This program will offer some solutions to those issues. This will be Mr. McCarthy's 3rd year with our event and we are delighted to have Ron back with us again for the 2017 event. Ron was our first Guest Speaker in 2015 and since then many distinguished law enforcement and military personal have followed him as our speaker. A.J. DeAndrea (Arvada PD, Colorado) A.J will be teaching "When Terror Hits Home" and "Columbine" ( 8 Hour Class) "Class space is unlimited"
Sergeant A.J. DeAndrea is an 18 year veteran of the Arvada, Colorado Police Department. He is currently assigned to patrol and served as a member and Team Leader of the Jefferson County Regional SWAT Team for 15 ½ years. Sergeant DeAndrea was an Entry Team Leader at Columbine High School. Sgt. DeAndrea helped devise and execute the tactical plan for the Hostage Rescue at Platte Canyon High School in September, 2006. Again in 2006 he was the Team Leader during an Officer Rescue where over thirty rounds were fired. Sergeant DeAndrea is the epitome of the law enforcement professional. 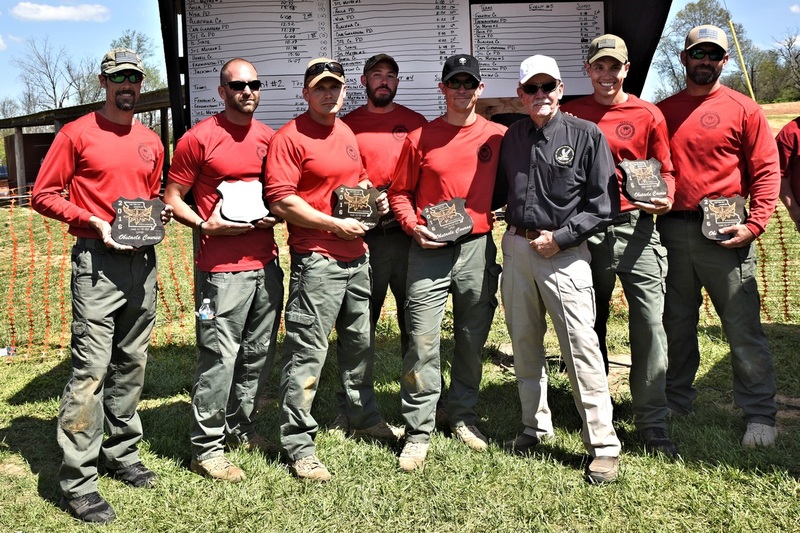 A.J travels the United States as an instructor for NTOA, and was at the 2016 SEMO SWAT Challenge where he had over 90 individuals attend his amazing debrief. We are honored to have Sgt. DeAndrea back at the SEMO SWAT Challenge for the 2nd year in a row. Sheriff Mike Neal is a former state law enforcement officer with Arkansas Game & Fish and was assigned to Lee County. 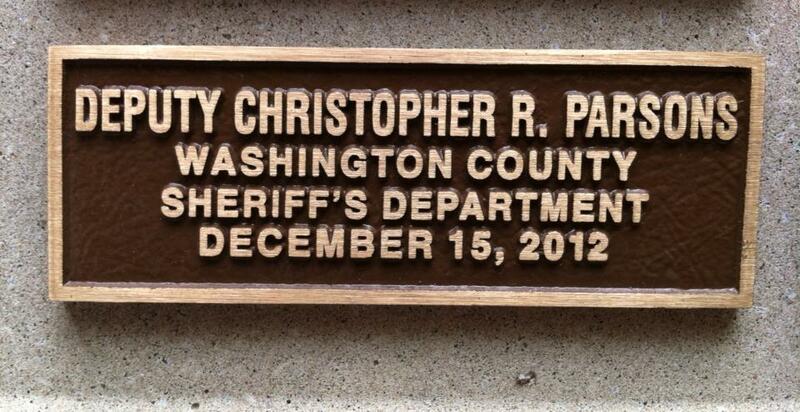 Michael is now the Sheriff of Monroe County. On May 20 of 2010, Officer Neal was instrumental in ending a brutal gun battle in West Memphis that resulted in the death of two West Memphis police officers and the wounding of two Crittenden County Sheriff’s officers. He became instrumental in ending the gunfire by ramming his Game & Fish vehicle into a minivan carrying two shooters. While under direct fire, he engaged them in a fierce gun battle, eliminated their threat and saving many lives. Sheriff Neal received the International Police Officer of the year Award for his actions and was presented the award by the Vice President of the United States. Sheriff Neal was also a guest speaker at the 2015 SEMO SWAT Challenge and was also an instructor in 2015 and 2016. We're very excited to have Sheriff Neal back with us for the 2017 event to teach his class for our competitors and attendees. LT Brian Murphy, Retired Oak Creek Police Department, Wisconsin. Brian will be debriefing his incident at "SIKH TEMPLE Debrief" (4 hour Class) "Class space unlimited"
Retired Lt. Brian Murphy was actively patrolling on August 5, 2012, when a massacre took place at the Sikh Temple in Oak Creek, Wisconsin. An active shooter incident occurred when 40-year-old Wade Michael Page fatally shot six people and wounded four others. Listen to Lt. Murphy debrief of the incident as he was the first one to arrive on scene of the incident and how he continued to fight and stay in the gun battle even after being shot 9 times. Lt. Murphy had been part of the departments tactical team for years and wasn't even suppose to be working on this day, but had switched with one of his guys for their child's birthday party. During the gun battle with Page Lt. Murphy took a round to the neck but continued to battle and stay in the fight. Responding units didn't know that Lt. Murphy had been hit until they got up on the scene and located him injured fighting for his life. Lt. Murphy was one of the guest speakers at the 33rd Annual International SWAT Round Up in 2015 in Orlando Florida. We are thrilled to have Lt. Murphy at the SEMO SWAT Challenge for the first time in 2017 and the training he will bring to our event.You won't want to miss this amazing debrief of courage and the will to stay in the fight. Scott Reidy Sig Sauer Instructor, Scott will be teaching two classes morning Pistol and afternoon Rifle Class (4 hour class) "First 16 attendees will be accepted in each 4 hour block"
Senior Officer Lance Coats (St. Louis City, SWAT) Lance will be teaching "PRECISION SNIPER RIFLE" (8 Hour Class) This class is limited to the first 20 attendees to sign up. What are the tasks of the Police Sniper? Proper equipment for the Police Sniper. Russ Adler (Adler and Associate's International) Lake City Florida, Russ will be teaching "COMBATIVE APPLICATION TECHNIQUES" (4 Hour Class) "First 12 to sign up will be accepted for this class for each 4 hour block"
Sgt. Josh Crews is with the Alachua County Sheriff's Office in Gainesville Florida. Alachua County was the winner of the 4th Annual SEMO SWAT Challenge and 34th Annual International SWAT Round Up in Orlando Florida in 2016. Sgt. Crews has been with the Alachua County Sheriff's Office for ??? years and a SWAT Team member for ??? years. Sgt. Crews is currently the Asst SWAT Team Commander with the Alachua County Sheriff's Office and has been with Alachua for 20 years and team member for 15 years. Assisting Sgt. Crews with the class is Sgt. Joe VanGorder. Sgt. VanGorder is an Asst Team Leader and Sniper Team Leader with 12 years in law enforcement 8 years with the SWAT Team. Who better to be taught by than the best in the world and that is the title that Sgt. Crews and Sgt. VanGorder have right now as they edged the country of Hungary "Presidential Protection Team" by 1 point in Orlando this past November. For this class each attendee will need 200 rounds of pistol and 200 rounds of handgun for the class. The attendee will also need eyes, ears, body armor and 3 mag each for pistol and rifle and a good attitude. Jim Haney (Special Forces 5th Group) Jim Will be teaching "RAPPELLING" (4 Hour Class) Class space is limited to first 20 per block. Jim is an 8 year veteran of the US Army’s 5th Special Forces Group and served in Iraq, Yemen and other parts of the middle east in support of the Global War on Terror. Jimmy has subject matter expertise in small arms, low visibility operations, interrogation, and communications along with rappelling. This is the 2nd year that Jim will be instructing at our event as he taught rappelling at the 2016 event. You will need a pair of gloves for this class and your welcome to use your own harness and rings as long as they are deemed safe. All the equipment will be provided by the event. Dave Kruse , Dave will be teaching "Officer Down the first 5 minutes"
Firefighter and Medic Dave Kruse with St. Louis County. One of the most talked about classes from the 2016 event was Dave's class. Four hour Missouri POST certified course designed to familiarize law enforcement officers in the methods used to treat the three most preventable causes of death in combat. Line of duty deaths caused by severe bleeding, open chest wounds, and airway obstructions can be avoided with timely correct intervention. Topics include: patient assessment, tourniquet application, hemostatic agents, patient extraction, triage, and prevention & treatment of heat related llness.Officers will be introduced to new devices and techniques to provide first aid to themselves or fellow officers. We are happy to have Dave back for the 2017 event as an instructor again. The SEMO SWAT Challenge would like to give a BIG THANK YOU to the Florida SWAT Association, the International SWAT Round-Up. The winner of the 3rd Annual Chris Parsons SWAT Challenge received free entry into the 2015 International SWAT Round Up in Orlando Florida a $1100.00 value. Members of Florida SWAT Association and SWAT Round Up were present at out event for the weekend. We thank you for your support of our event in Missouri, and look forward to attending the 2017 International SWAT Round Up. Supporting the relentless pursuit of JusticeLaura Fogarty Tactical Photography is committed to supporting the relentless pursuit of justice by capturing in photographs your degree of discipline, tenacity and commitment to excellence. The 3rd Annual Chris Parsons SWAT Challenge is happy to announce that the event will be covered by nationally known photographer Laura Fogarty. We are very excited to have her at our event in April. Please click on the link below to view her website and the pictures that she obtains from the events she attends. For almost two decades, retired Massachusetts State Trooper Laura Fogarty performed regular assigned duties including all responsibilities as a crime scene investigator, tactical photographer and training officer, representing her department at state, local and federal agencies across the Commonwealth of Massachusetts. Her photographs have been used by every unit in the Mass. State Police for countless situations including training documentation, press releases, and evidence in criminal and civil lawsuits. Laura currently resides in Georgia's Forsyth County with her teenage son. 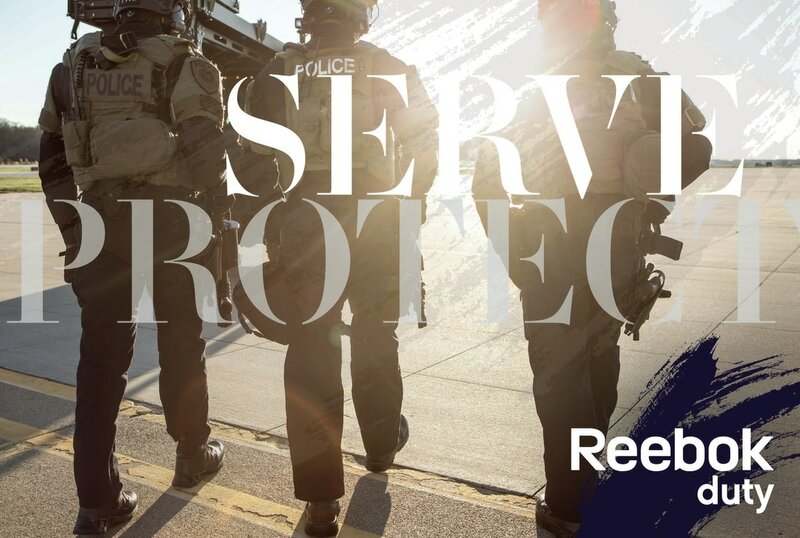 She strives to bring her understanding of law enforcement commitment combined with her photography experience to any agency that requests her service.